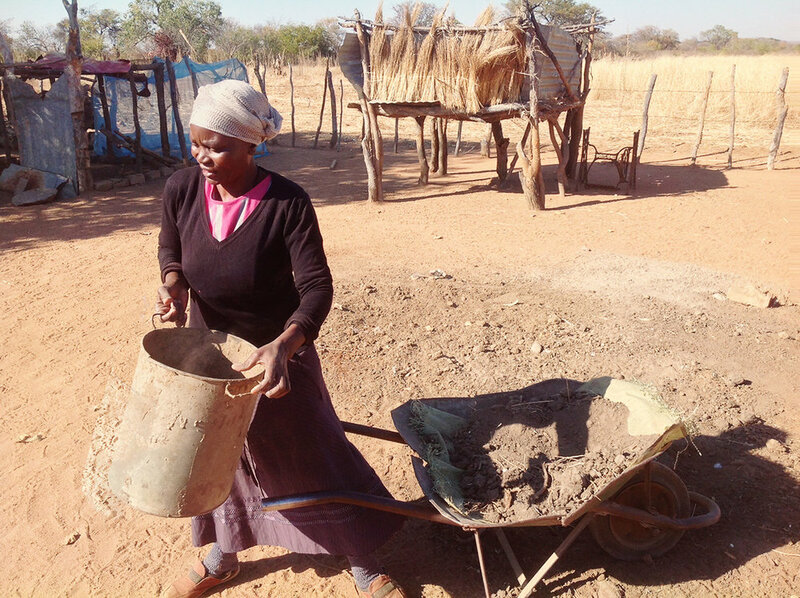 Moses Kaputi is a middle aged man from the Chikunda speaking community of Kanyemba in the Dande Region of Zimbabwe. 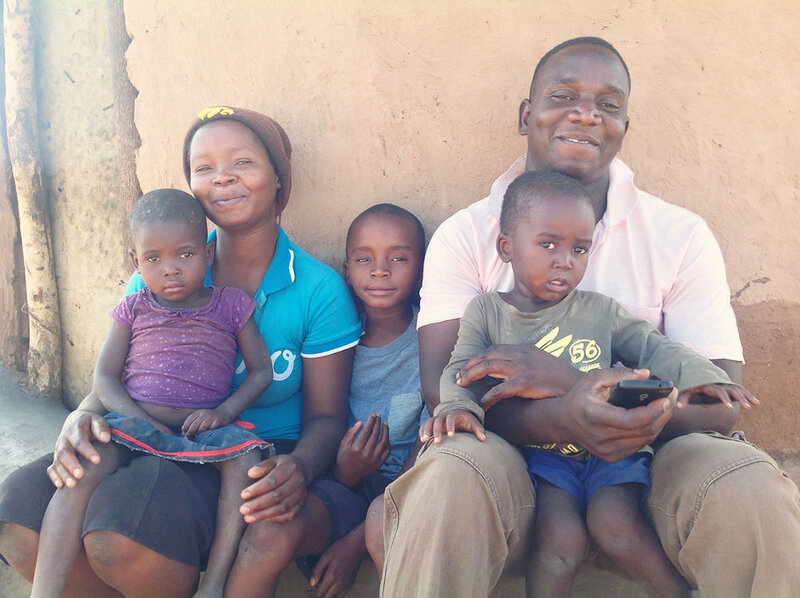 He is married to Fungai Dumba and they are blessed with four children, two boys and two girls. 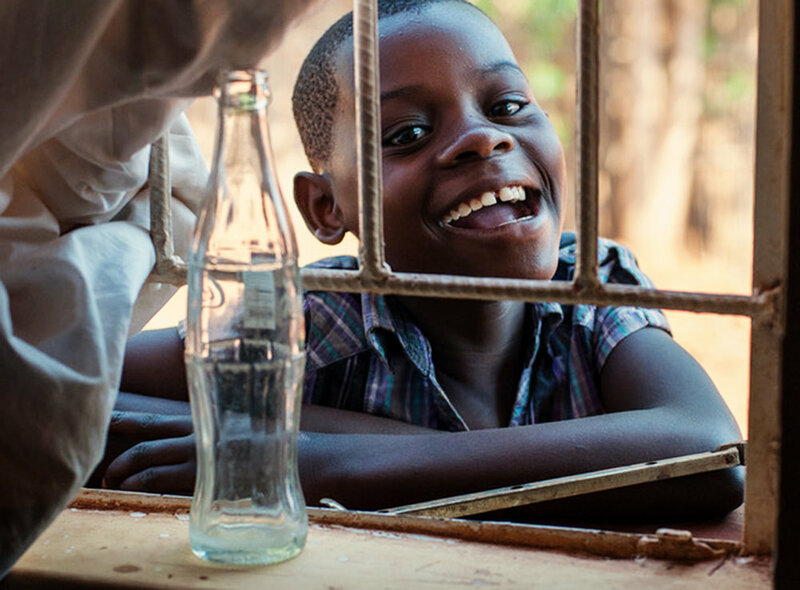 Chikunda is spoken in Zimbabwe, Zambia, and Mozambique. 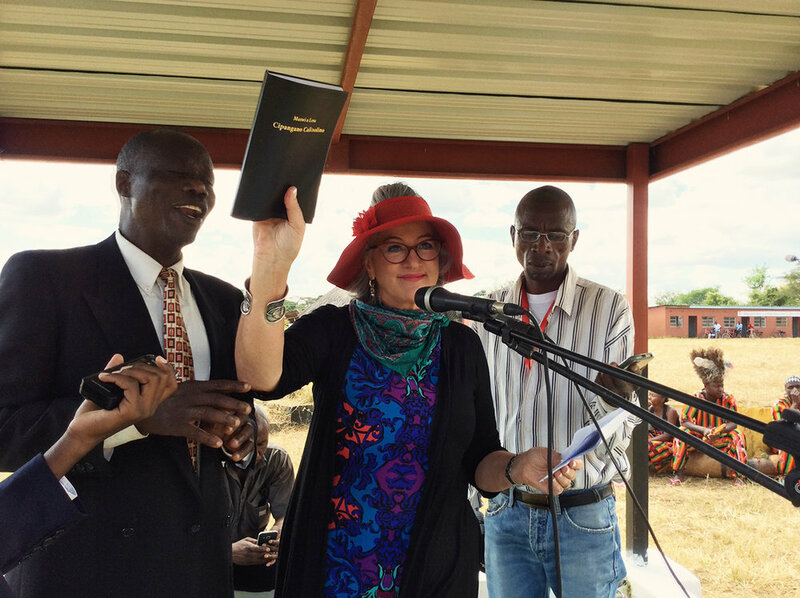 There is already a New Testament in Chikunda which has been published and distributed in the Kanyemba area. 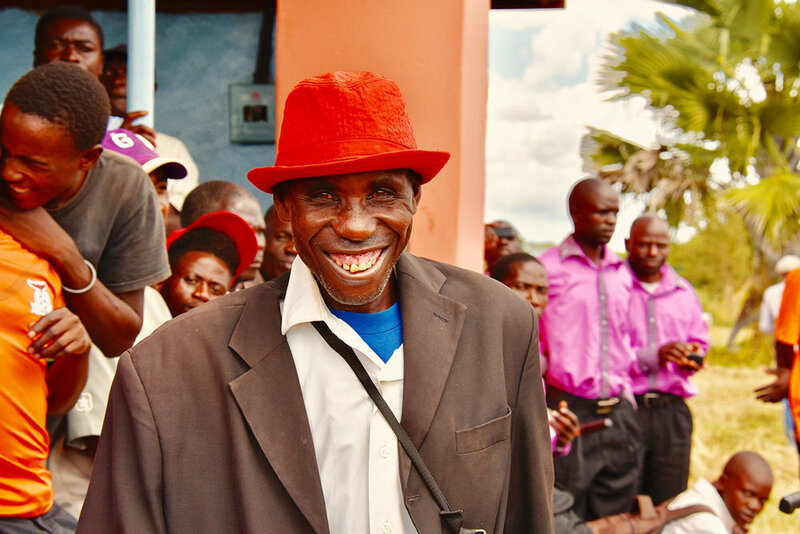 Moses says that before they had this New Testament in Chikunda, they would just try to guess from the Shona Bible (Shona is also spoken in Zimbabwe) what God was saying to them, but now that they have the Chikunda New Testament it is like God speaks Chikunda, and they can understand Him. The Chikunda New Testament has also helped them in the making of the Jesus Film in Chikunda. 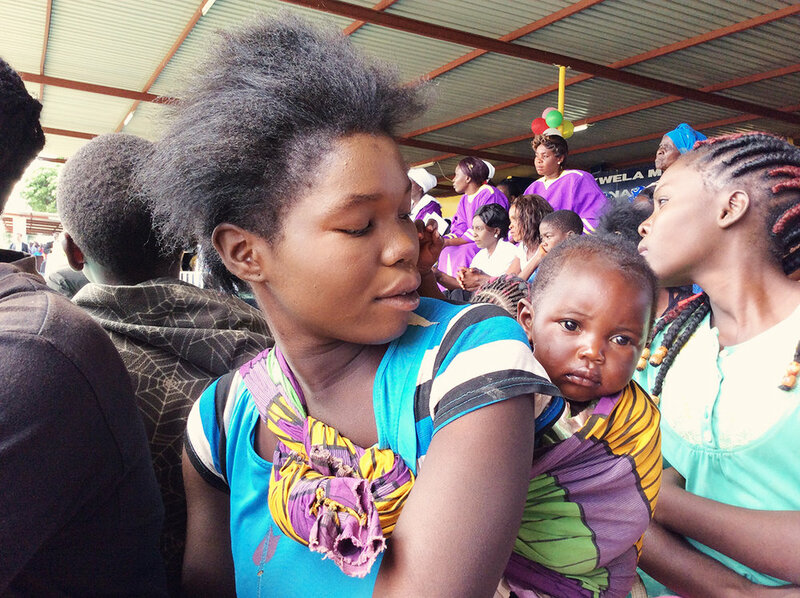 The Chikunda people were delighted to watch Jesus speaking in their heart language! 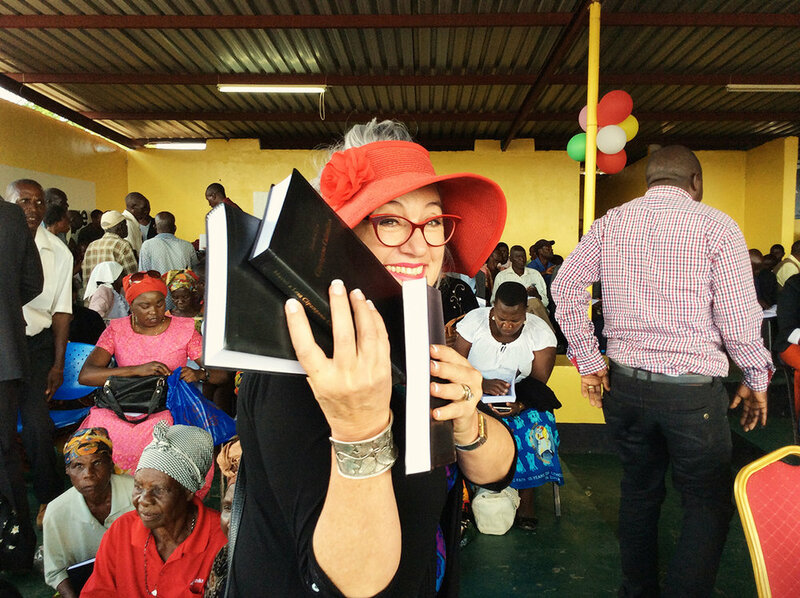 The elderly people in the community can now also read the Word in their mother tongue, and now they finally know that God is not only for the white people or the Shona people, but is also for the Chikunda people! Story and photo supplied by Piniel Tawanda Zimbizi. I am a Child of God! Kofi John is a disabled man in the Pogoro-speaking village of Isongo, Tanzania. Although he has been disabled since birth, he has a full life, with a wife, five children, and a variety of livestock. He and his family make their living through farming the land and keeping chickens and ducks. He shares with great excitement about the goodness of God in his life since he read the Word of God in Pogoro. After the release of the Pogoro New Testament, Kofi was also released from his loneliness. He started meeting regularly with a group of people to discuss the Bible and to pray with them. Now that they have the Word of God in their mother tongue, they are eager to fellowship together and study this Bible that they can now clearly understand. 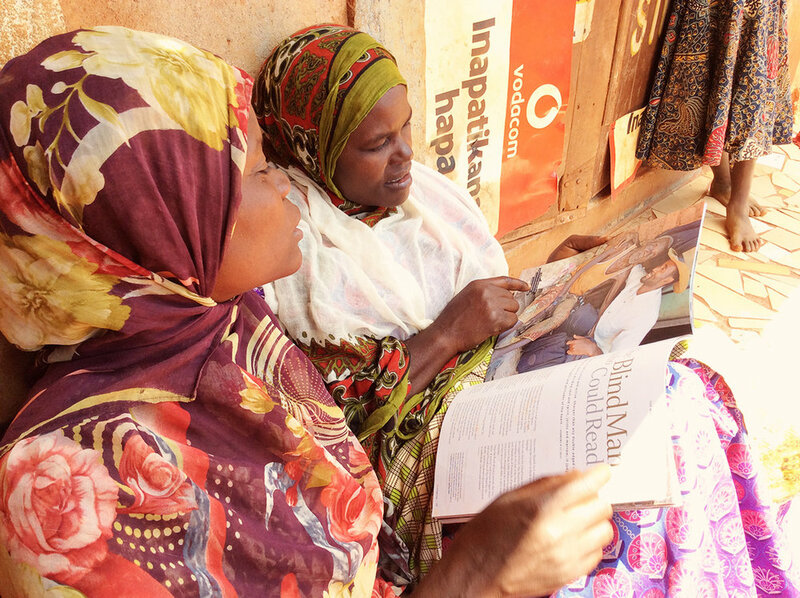 In Tanzania, 11 of the 15 local people who review the Ndendeule translation as it is completed are Muslim. 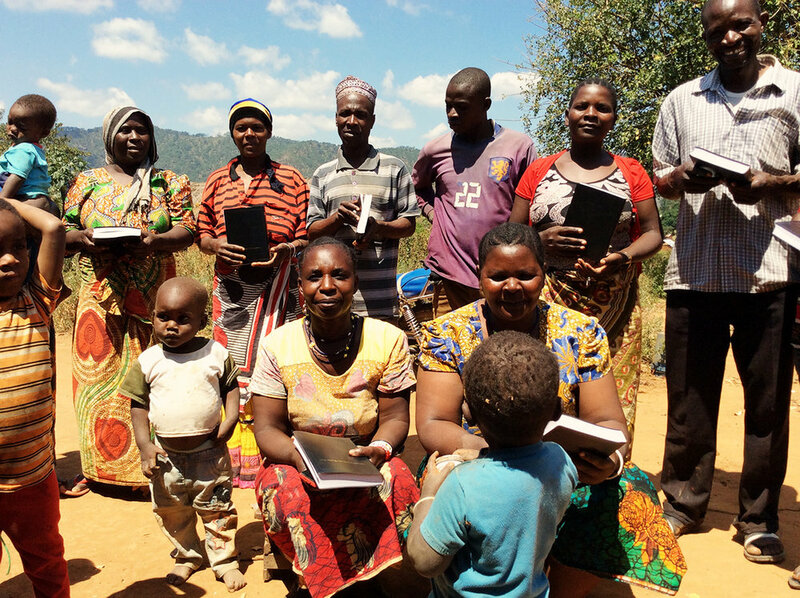 They are thrilled to have something written in their language, even if it is the Holy Bible! A while ago, we told you the story of a man named Maulidi Kimbunga from this language community who could not see, but when he was attempting to read the Gospel of Mark in Ndendeule, God healed him and he was able to see again. Maulidi had been a Muslim, but through his encounter with God when he read the Gospel of Mark, he became a Christian. Since then he has gone to his eternal home, but the testimony of his life and faith has spread among the other Muslims in his community. We pray that through Maulidi’s testimony, which has amazed his Muslim friends and family, and through reading the scripture translated into Ndendeule, more Muslims in Tanzania will encounter Christ and be transformed by His Word! The Ndendeule project is well underway and the New Testament is 58% complete. To contribute to this project, click here. 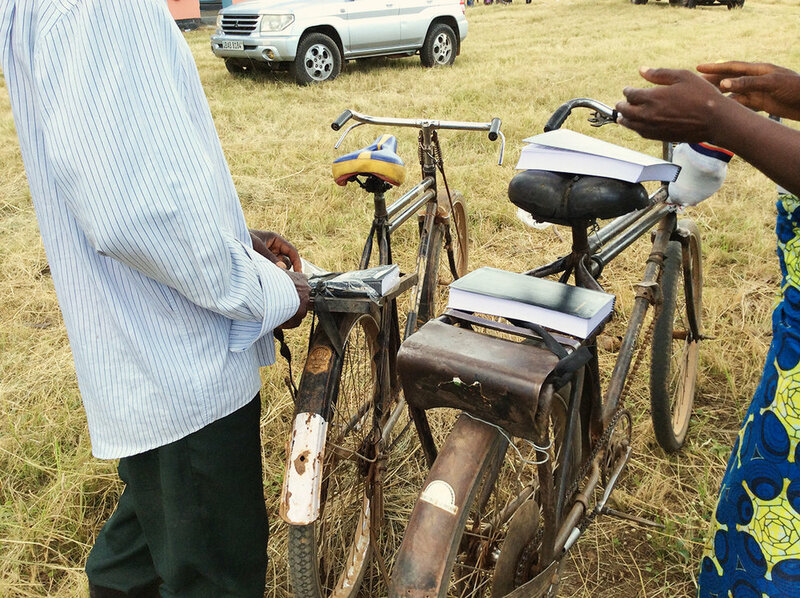 Sometimes George Chombo, who works with The Word for the World’s Promotions department, carries Bibles on foot so that he can reach places and people that are unreachable by car or motorcycle. 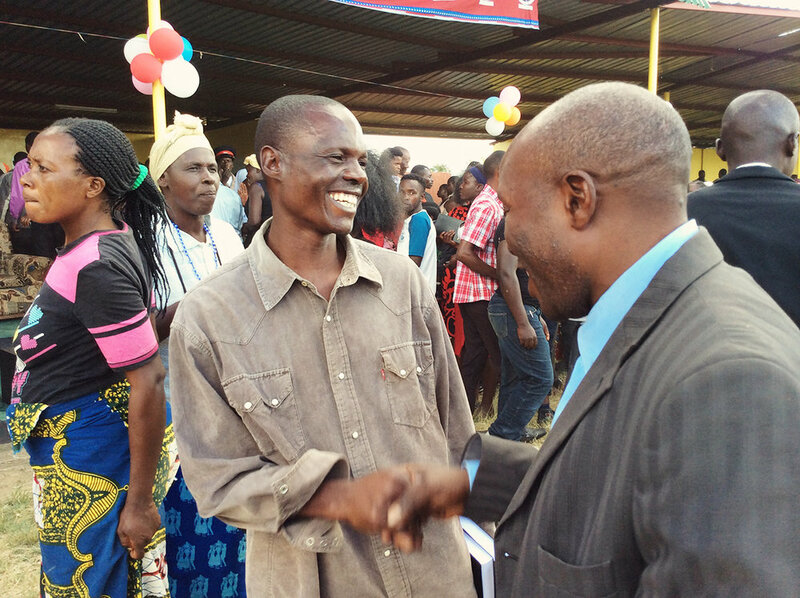 Recently he did this to bring some of the Nguu people their completed New Testament, and they were ecstatic to receive the Scripture in their own language! Many of the people are Muslim, but they are filled with joy that something like the Bible has been translated into their language, and they even gather together to read it. 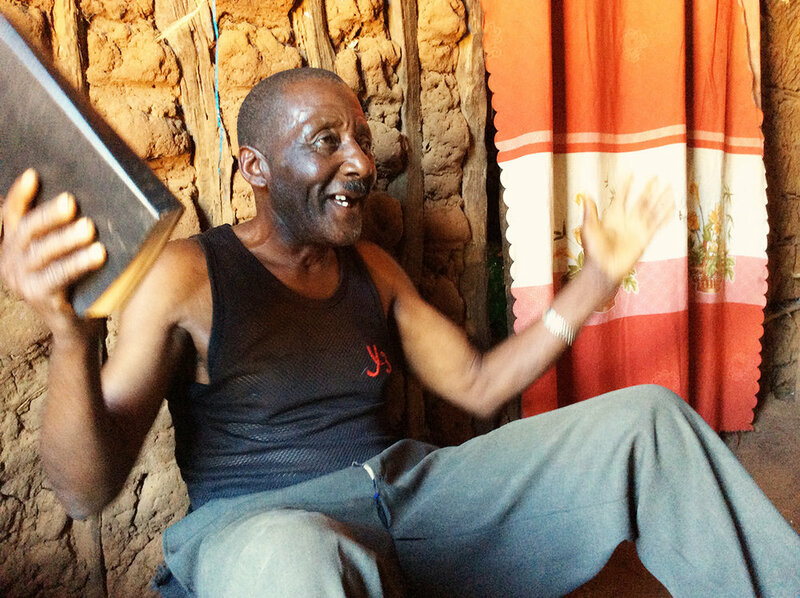 One elderly man told George the good that God has done in his life since he received news of the Nguu Bible translation project. In 2016 he was very sick and could also not see with his left eye, so he had to rely on his right eye. Just before he went for an operation to improve the eye, he had a dream. He said that he saw someone give him the Nguu Bible, and the person who gave it to him said, “You will not go for an operation for your eye, but instead you will be healed. But tell of this and speak with the older people in your village about the Nguu Bible.” When he woke up the next morning, he realized he could see out of his left eye! So he went right away to the church to tell his pastor about the dream, and the pastor told him, “Jesus Christ was the man in your dream, and He has healed you.” Praise God! It is a warm, Friday afternoon—the day before the Soli New Testament Launch—and six of us are tightly packed into a car, traveling through the Soli-lands, east of Lusaka, Zambia. I have never travelled through this part of country after the rains, and my heart is happy to see fields of corn and flowers stretching as far as I could see; all underneath the striking blue and white of the cloudy and endless African sky. The rest of the day is busy with preparations; meetings with the High Chieftainess, headmen, and Soli Committee; and ensuring that nearly four thousand Soli New Testaments are delivered and secured. As I return home late that evening, I find myself still basking in the excitement—for tomorrow we celebrate something truly special: a people receiving something that is both a result of their own dedication, as well as the generosity of others—something which took faith and hard work—a longed for destination which is also the start of a new journey of discovery and understanding. The Soli New Testament is truly a gift from God, and the Soli are literally and metaphorically about to turn the page, and begin a new chapter in their walk with God. 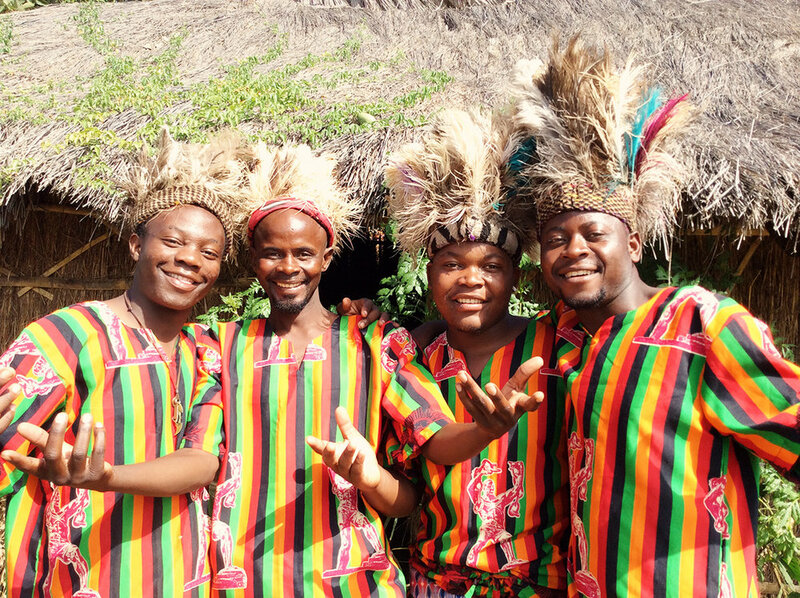 The program reads as a tightly-packed, two-and-a-half-hour event—but you should know, there is no Zambian celebration that fits into a morning session! Dancing, music, and speeches abound—and we hear stories of victory and loss—of blessing and sacrifice. 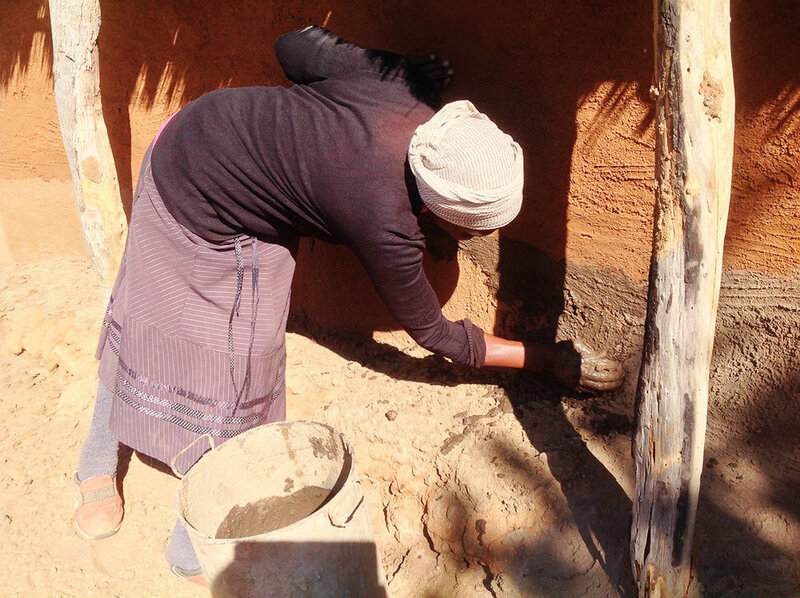 Throughout the many, varied, and colorful presentations, the heart and hand of God becomes clear—for the Soli people have come, just as they are, and they are loved by Him.